Phillip Phillips won the eleventh season of American Idol in 2012. 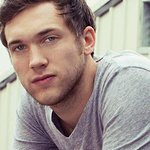 One of the biggest singles of 2012, the quadruple-platinum “Home” announced Phillip Phillips as a singer/guitarist of both rare authenticity and massive pop appeal. Centering on the American Idol season 11 winner’s rich, raspy vocals and masterful guitar skills, “Home” served as the lead single from “The World from the Side of the Moon” – a platinum plus-selling album that debuted no. 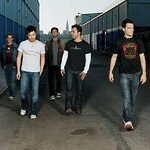 4 on the Billboard Top 200 Album chart and no. 1 on the Billboard Rock Album chart upon its November 2012 release. Phillips’s widely acclaimed debut also features the platinum single “Gone, Gone, Gone” and the Phillips’ penned “Where We Came From,” as well as a host of numbers that flaunt the 23-year-old Georgia native’s songwriting chops. Google trends for "Phillip Phillips"